The tragic stories. The brutal statistics. How Campbell University is on the front lines of the nation’s opioid fight. Outside, rain is pounding Fayetteville, causing flooding the city hasn’t seen in over a decade. But inside a cramped, albeit dry, meeting room at the Cumberland County Sheriff’s Training Center, law enforcement officials, first responders, doctors, politicians and educators focus on a different kind of disaster response. Each man and woman here has their story — both personal and professional — when it comes to the nation’s opioid epidemic, and each testimony on this late September morning is met with dropped jaws or heads shaking in disbelief. Fayetteville has been hit harder by this than most cities — it ranks 15th in the nation in prescription opioid abuse and 18th in overall opiate abuse. For many in attendance at this roundtable discussion — one of several run by the U.S. Department of Agriculture and former President Barack Obama’s White House Rural Council — opioids and their fallout have all but consumed their careers. 78 Americans die from an opioid overdose every day. The statistic that initiates the loudest audible reaction from a room full of people who’ve already seen it all is delivered by the host of this roundtable, former U.S. State Rep. and Campbell alumnus Bob Etheridge (’65): In 2014, more than 240 million opioid prescriptions were written in the U.S., more than enough to supply every American adult with their own bottle of pills. There is no one easy way to beat this epidemic, Etheridge says. There is no pill for this. But getting together in this cramped room — judges conversing with doctors, politicians hearing first-hand accounts from deputies — is a long overdue but important step in fighting it. A larger and even more urgent gathering will take place a month later in Wilmington, which has the unwanted distinction of being first in the nation for opioid abuse. Nearly four people die each day in North Carolina from a drug overdose. But overdose did not kill Hunter Stokes. Hunter smoked pot for the first time when he was 13. His parents caught him at 15, and the punishment was light. Teens will be teens, his mother thought. But his path only got darker. By 19, he was more aggressive toward his parents and sister. He threatened suicide at one point, forcing his family to commit him to a psychiatric ward. Drug tests there confirmed Hunter had moved on to more illicit drugs like opiates and cocaine. He was arrested for DUI at 23. He broke into his parents’ home at 25 and stole their TV and computer to sell them for money to buy heroin. Rehab became a revolving door — some stays (like a 22-month stint in a program in Durham that put him to work full time and monitored him 24-7) gave Hunter and his family hope that his story could have a happy ending. But that lengthy stay in Durham was cut short by a night out with friends that ended with a near fatal heroin overdose. Hunter’s life was saved by a paramedic armed with naloxone, a drug that instantly reverses the effects of an opioid overdose. The next three years were a vicious cycle of short rehab stints, several relapses and arrests. Hunter’s family last saw their son in November. They learned he was homeless on Thanksgiving Day. A day later, he reached out to a friend asking for money. The friend wired him $150. That night, Hunter walked out into oncoming traffic on a busy four-lane highway near Rocky Mount. He was struck by several cars, killing him instantly. Police told his parents they found heroin on their son at the scene. He was not carrying any money. Nearly four people a day die in North Carolina from a drug overdose. Odds are this isn’t the first you’ve read or heard about the nation’s opioid epidemic. Especially if you’re living in North Carolina, which is home to four of the Top 20 cities in the United States for rate of opioid abuse — No. 1 Wilmington, No. 5 Hickory, No. 12 Jacksonville and No. 18 Fayetteville. The war on this epidemic is being fought on two fronts. Prescription opioids like codeine, hydrocodone, methadone and fentanyl — used by doctors to treat pain — and illicit opioids like heroin and illegally manufactured pills claimed more than 1,200 lives in North Carolina in 2015. Fifteen years earlier, that number was around 300. The conference was born from the news of Wilmington’s unfortunate title as the nation’s worst when it comes to opioid abuse. That national study was published last April by Castlight Health, a San Francisco-based health care information company that found 11.6 percent of people in Wilmington who received prescription painkillers ended up abusing them. Williams, a native North Carolinian and UNC-Chapel Hill and UNC School of Medicine graduate who has treated patients here for nearly 30 years, says the study was a wake-up call for him and state lawmakers. Of the Top 20 cities in the U.S. for opioid abuse, North Carolina is home to four of them — Wilmington, Fayetteville, Jacksonville and Hickory. Much of the blame can go to doctors, pharmaceutical companies, uninformed patients and those with criminal intentions, but Williams says to understand the genesis of the country’s opioid epidemic and to begin to formulate solutions, you have to start with American culture. In a world with more than 7 billion people, he says, over 80 percent of the world’s opioids are consumed in the U.S., which makes up only about 5 percent of the human race. This cultural shift, he says, began in the mid-1990s, when Dr. James Campbell — in his Presidential Address to the American Pain Society — first introduced the idea of evaluating pain as a patient’s “fifth vital sign.” Joining pulse, blood pressure, respiratory rate and temperature, pain soon became something a doctor measured or inquired about during all visits. The 0-to-10 scale — the one you often see in the doctor’s office, marked with angry and happy faces on each end — became a standard question, and doctors were encouraged to treat pain based on a patient’s word (unlike temperature or pulse, pain can’t be physically measured). When acetaminophen and anti-inflammatory drugs weren’t bringing pain levels to “0,” opioid prescriptions skyrocketed. For every 100,000 North Carolinians, there are 91,000 prescriptions for narcotics, Williams says, close to Etheridge’s statistic of a bottle of pills for every American adult. In North Carolina, a third of those prescriptions get “diverted,” meaning for that bottle of 60 Lortab prescribed for a sprained finger, 20 pills will end up in someone else’s hands. “Nicole” took her first painkiller in the ninth grade. It wasn’t her prescription — her mom suffered from chronic pain and had a whole medicine cabinet full of opioids. A 4.0 student in high school and member of her high school’s varsity softball team as a freshman, Nicole appeared to “have it all,” she says, on the outside. A messy break-up with a boyfriend that year — the end of the world to most that age — pushed her to experiment more with drugs and alcohol. She lost friends, changed schools for a new start and continued spiraling downward. By the time she was a senior, she was taking some sort of painkiller — whatever she could get — on a daily basis. She got engaged that year at 17 and began stealing pills from her soon-to-be mother-in-law, who had been “prescribed them like candy.” Her fiancé eventually found out, and she agreed to go to detox. A week after being discharged, she was using again. Her engagement broke off. She was arrested for a DUI soon after. She dropped out of college and had difficulty holding down a job. She describes that 10-year period in her life — from 14 to about 24 — as a blur. America’s affinity for opiates goes back to the 1800s, pre-dating the Civil War when many veterans became hooked on the morphine used to treat their injuries. Opiates — derived from the opium poppy — have been around for thousands of years. The most active substance in opium is morphine, named after Morpheus, the Greek god of dreams. Heroin was the result of chemists trying to produce a less-addictive form of morphine in 1874. In 1898, the Bayer pharmaceutical company aggressively marketed commercial heroin, a “wonder drug” pitched as a non-addictive way to treat illnesses like bronchitis and pain instead of morphine. In 1906, the American Medical Association approved heroin for general use. The term “opioid” — meaning “opiate-like” — originated in the 1950s. The painkillers that word is most-often associated with today came on the market with approval from the Food and Drug Administration, beginning with Vicodin in 1984, OxyContin in 1995 and Percocet in 1999. Andrew Muzyk, associate professor of pharmacy practice for the College of Pharmacy&amp Health Sciences at Campbell and adjunct assistant professor in the Department of Psychiatry and Behavioral Sciences at Duke University, is a leading voice in North Carolina on the treatment of addictions. He says addiction in general is a complicated thing. In addition to the biochemical effects a drug may have, there are numerous psychological factors as well. When consumed, opioids attach themselves to receptors in your body, found on nerve cells in the brain, spinal cord and other organs. They reduce the perception of pain and can produce a sense of well-being. They can also make you drowsy and confused. Prescription painkillers are different, he says. Taken in pill form, opioids are a controlled-release medication — pain control is steady, and the “peaks and troughs” of the medication are much smaller. 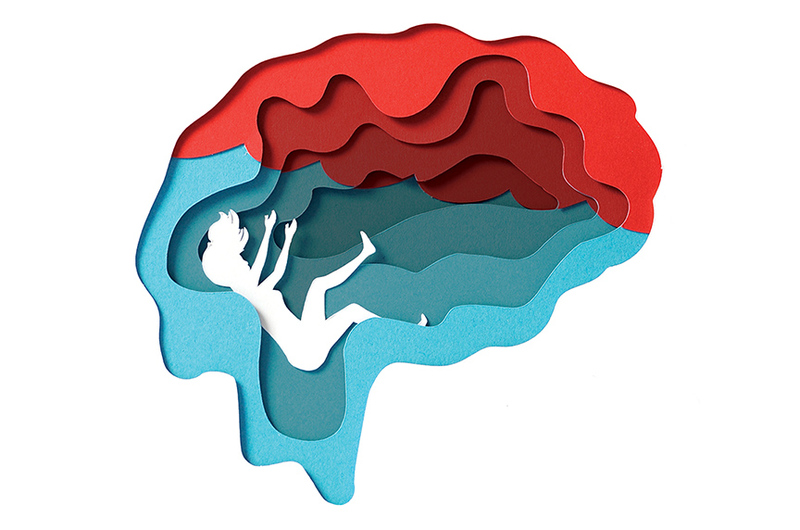 Longer-acting opioids put patients at a higher risk of overdose, because of the drugs’ effects on the part of the brain that regulates breathing. Opioid abuse transcends race, gender and socio-economic groups. The most common profile of an opioid addict is someone — most often male and caucasian — in their mid-30s whose initial diagnosis is back pain due to trauma, surgery or degenerative arthritis. The average time from the first prescription of an opioid to overdose death is 31 months. Watching the toll drugs had on her son and feeling helpless to save him was heartbreaking for Ginny Stokes, Hunter’s mother. During one of her son’s many rehab stints, Hunter told her what it was like to battle addiction to painkillers and heroin. She compared it to being with someone with a terminal illness. She knew her son was trying to overcome his demons, but his body wouldn’t release the hold drugs had on it. “Nicole” was in her mid-20s, a mother and was struggling to keep her marriage alive when she sought treatment for her addiction one final time, three states away in Florida. After 42 days, she chose to stay in a halfway house to continue her recovery. There, she became a “house mom,” which not only allowed her to share her experiences with others, but also held her more accountable for her own actions. She returned home after six months and mended her relationships. She went back to school and has recently begun a career as a nurse. She doesn’t view her addiction as a red flag in her job, but rather as an asset as she helps doctors treat patients’ pain. A March 2016 survey by the National Safety Council revealed that 99 percent of the nation’s doctors prescribe highly addictive opioids to their patients for longer than the three-day period recommended by the Centers for Disease Control and Prevention. Nearly a fourth of those doctors say they routinely prescribe at least a month’s worth of opioids. That’s more than enough time for addiction to grab hold. Five days after the NSC study was released, then-President Barack Obama challenged the nation’s medical and pharmacy schools to sign a pledge mandating opioid and pain management education in their curriculums by fall 2016. While blame for the nation’s epidemic — 80 percent of the world’s opioid prescription drugs are ingested in a country that makes up 5 percent of the world’s population — can be placed on many shoulders, it’s our doctors whose shoulders carry the most weight of burden. Properly educating the next generation of doctors, nurses, physician assistants and pharmacists will go a long way in ridding the nation of its epidemic. “Medical education is critical,” says Dr. Barbara Walker, a Wilmington physician and former Campbell University trustee. “We need to teach physicians and surgeons that post-op patients don’t need two to three months of controlled medications. They may just need three days. It’s crucial that this is addressed in today’s curriculums — it was never a part of my curriculum as a student. We learned about the benefits of medications, but rarely the risks. Last April, Campbell’s College of Pharmacy&amp Health Sciences was among the first 55 pharmacy schools in the nation to sign the White House’s pledge to educate students about overdose interventions, and the Jerry M. Wallace School of Osteopathic Medicine officially launched its Opioid Abuse and Drug Abuse Curriculum in January. Under the direction of Dr. Jim Powers, associate dean for clinical integration and professor of emergency medicine, Campbell Med’s opioid curriculum provides “practical guidance in screening pain patients for substance abuse disorder” and will help future doctors identify when patients are abusing their medications. “Studies have shown that even brief interventions by primary care providers have proven effective in reducing or eliminating substance abuse by people who abuse drugs but are not yet addicted to them,” says Powers. Dr. John Kauffman has been in medical education for over 20 years, and yet, the numbers shocked him. Two million Americans abused prescription pain relievers in 2014. More than a half a million Americans abused heroin. Three in five new heroin users started out by misusing prescription opioids. Then after learning that four of the top 25 cities in the U.S. for prescription drug abuse and overdoses belonged to North Carolina — three of them in the eastern part of the state, one just down the road from the medical school where he serves as founding dean — one thing became very clear to Kauffman. North Carolina is in a crisis, and Campbell University’s health science programs are well positioned to make a difference. It may sound like a simple approach, but it’s actually quite a sea change from the way physicians have treated pain for the past 25 years. When pain became the nation’s “fifth vital sign” — along with pulse, blood pressure, respiratory rate and temperature — in the 1990s, new policy encouraged physicians to inquire about pain with their patients during all visits. Those who lobbied to have pain removed as a vital sign — like the American Medical Association last June — claimed pain was more of a symptom rather than a vital sign because it could not be measured. The AMA also suggested hospitals and other health care organizations were overprescribing opioids to meet accreditation standards set by The Joint Commission. Pharmaceutical companies were complicit, too, making billions of dollars for “super pills” like Oxycontin and Percocet, highly addictive opioids that offer a slow but powerful release (and are much more dangerous when abused or used improperly). Forbes estimated that opioids generated $11 billion in revenues for pharmaceutical companies in 2010. Abuse of these pills cost health insurers $72.5 billion in direct health care costs that same year. Educating the next generation of doctors — and, by extension, educating future generations of patients — on effective pain management is just one of many steps needed to fight the country’s opioid addiction epidemic. But it’s an important step. Already, opioid prescriptions have fallen in 49 states (South Dakota the exception) since 2013 after trending upward every year since OxyContin hit the market in 1996. The decline has been attributed to recent federal guidelines on opioid treatments and new initiatives such as projects to disrupt overprescribing set forth by the Obama administration in 2016. Whether or not this will have a dramatic impact on the number of opioid-related overdoses and deaths remains to be seen — the most recent federal data was 2014, and that showed a continued rise in fatal overdoses from opioids. The numbers tell us that while reducing the number of pills that go out legally is important, changing patient mindsets and behaviors and educating them in the exam room is even more important. According to Assistant Professor of Family Medicine Dr. Nicholas Pennings, students at Campbell are being taught an unconventional way to talk to patients — “motivational interviewing” engages the patient and encourages them to change their behavior by helping them explore what motivates them most. Change is hard, adds Dr. Dan Marlowe, Campbell Med’s director of behavioral health. And often, “lifestyle change” is the farthest thing from a patient’s mind. The patient isn’t the only one who benefits, Marlowe says. Motivational interviewing also steers doctors away from the easy “there’s a pill for that” treatment plans that played a major role in the current opioid epidemic. This approach is in line with one of the four Tenets of Osteopathic Medicine, approved by the American Osteopathic Association’s House of Delegates: “The body is capable of self-regulation, self-healing and health maintenance.” A 2010 article in Practical Pain Management Magazine suggested that osteopathic physicians take a “diverse interdisciplinary approach” to pain management that includes musculoskeletal diagnostic exams and manual therapies, physical therapists, occupational therapists and psychiatric health care professionals. Pain is complicated, Marlowe says, and Campbell’s interprofessional approach to health science education — one that groups med students with future physician assistants, pharmacists, physical therapists and nurses throughout their three to four years — will make it easier for the future physicians to recommend multi-faceted techniques to manage pain. The idea is that opioids should be a last resort, or at least not the very first option. A recent article published in the Journal of the American Osteopathic Association laid out the proper treatment plan when opioids are needed — the plan includes selection of “the appropriate opioid,” involvement of other health care providers, osteopathic manipulative treatment and patient education. Pennings recalls a story from a DO colleague who, during his rotations as a student in the emergency room, encountered a patient who came in complaining of severe back pain. In the examination room, the student worked on the patient using osteopathic manipulative treatment. When the doctor came into the room holding the slip for the opioid prescription, the patient declined, saying his back already felt better. Kauffman and Pennings agree that if doctors are to blame, it’s in good part because of the way we grade our doctors and hospitals. According to Kauffman, the nation’s medical system is “time based,” meaning doctors have a finite period of time to see their patients. Family physicians, ER doctors, specialists — you name it — often they’re rewarded for the number of patients they see. This discourages motivational interviewing — a method that’s hardly effective in a 10-minute quick visit. This brings up another problem — the reward system. Patient satisfaction surveys carry big sway in the health care industry, and too many patients give failing grades to their doctors when their pain is not vanquished or when the medication they receive isn’t “the good stuff.” These factors affect insurance reimbursements and affect how hospitals are funded. Changing the way an entire industry is run won’t be easy, Kauffman says. But the change has begun. Physicians in North Carolina are required to train in pain management to receive their license from the state. Some emergency departments are beginning to ban opioid prescriptions. The state is encouraging more doctors to use the North Carolina Controlled Substances Reporting System — a resource that allows them to view a patient’s history before prescribing — on a regular basis. And more doctors are requiring their patients sign treatment agreements — or “pain contracts” — that document their informed consent and expectations with their medications. Campbell’s School of Osteopathic Medicine, which graduates its first class of doctors in May, and its College of Pharmacy&amp Health Sciences are teaching all of this to the next generation of health care providers, many of whom will be practicing in our region’s most medically underserved areas. In Nashville, North Carolina, a group of 30 volunteers waits for a phone call from someone who needs help. Not to be confused with firefighters or paramedics, these volunteers have personal experiences with drug addiction. Those experiences make them the most valuable resource for the HOPE Initiative. The vision of Nashville Town Manager Hank Raper (’11, ’15 Law), the HOPE Initiative is a safe space for those suffering from heroin or opioid addiction to seek help without fear of incarceration. Raper pitched the idea during his first month on the job. He introduced the idea as a way to bridge the gap between police and communities — to show residents the police department is every bit as much a part of the community as it exists to protect and serve it. 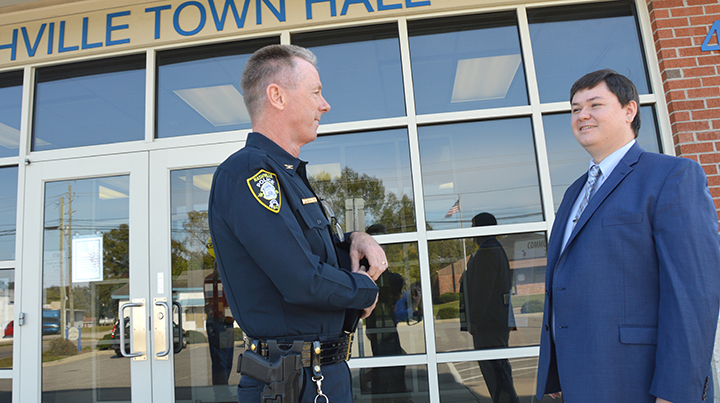 For Chief of Police Tom Bashore, the idea was a groundbreaking way for police officers to be true agents of change by creating a way to remove the stigma of drug addiction so people can get the help they need. Thanks to the HOPE Initiative, on any given day, someone seeking help can stop by the Nashville Police Department or reach out to any Nashville police officer. That’s when Chief Bashore and his team of volunteers step in. The volunteer team is vital to the success of this program. According to Bashore, volunteers fall into one of three categories: 1. “Good old-fashioned people who like to help”; 2. People who are in recovery for at least a year; or 3. Parents who have adult children that are in recovery or lost a battle to addiction. By asking one of his volunteers to meet a client of the HOPE Initiative as the first step, Bashore says he establishes an environment of empathy and understanding that he personally cannot provide. That first 10-15 minute conversation with the volunteer makes all the difference. In that conversation, the Initiative discovers when the last time the client used, the extent of their drug use, and roughly what stage of detoxification the client is in. From there, Bashore and the volunteer accompany the client to the emergency department at Nash General Hospital for blood work and preliminary screenings. After the initial hospital visit, clients are enrolled in a detox center or long-term treatment facility. All of this is paid by a drug prevention grant or donations from the community. Not everyone can dedicate the time some long-term treatment programs require, and the Initiative has taken that into account. Some of these people have families and jobs here and cannot leave, says Bashore. In that case, the Initiative has created partnerships to provide intensive outpatient programs that provide regular meetings, any medication for treatment, and occasionally group therapy. Since February 2016, the Initiative has worked with more than 70 clients, with multiple success stories and many clients enrolled in long-term treatment facilities across the Southeast. But the Town of Nashville and its police department are standing firm in their dedication to its community. It’s known as the “Lazarus drug,” named for the Biblical figure whom Jesus Christ restored to life four days after his death. Naloxone — also known as Narcan — is a medication used to block the effects of opioids, and it has become a weapon for first responders in their fight against the opioid epidemic. Administered after an overdose, Naloxone saves lives. That’s why Andrew Muzyk, associate professor of pharmacy practice at Campbell’s College of Pharmacy&amp Health Sciences, wants to see the drug in the hands of every crisis intervention team in the state. In addition to his teaching responsibilities — he’s also adjunct assistant professor in the Department of Psychiatry and Behavioral Sciences at Duke University — Muzyk serves as a faculty advisor for Generation Rx, a sub-group of the American Pharmacists Association Academy of Student Pharmacists at Campbell. The group aims to increase public awareness of prescription medication abuse. And one way they do this is by building naloxone kits alongside the North Carolina Harm Reduction Coalition. The kits are then handed out for free in communities considered the highest-risk areas — Wilmington, Fayetteville, Greensboro and Henderson, to name a few. From April 2015 through March 2016, nearly 2,200 opioid overdose reversals due to Naloxone were reported to the North Carolina Harm Reduction Coalition reported. There were approximately 350 in the 12 months prior. There’s no way to determine how many lives were saved because of the kits put together by Muzyk and his students, but they’re not doing it for the accolades. The kit building is but one small part of their education. Just as important is understanding addiction in general — whether it’s opioids, alcohol or other drugs — and dropping the stigma associated with patients with addiction. In his lectures, Muzyk points out that drug addiction is a chronic disease. Dependence on a substance is not a choice, but sometimes compulsive or uncontrollable due to bio-social-psycho behaviors. Retail pharmacists say it’s not uncommon for them to see a forged prescription, question a suspicious request for needles, or encounter a patient with an elaborate excuse about why he needs his prescription refilled early. People suffering from addiction are still people, and that’s something we often forget. A 2014 Johns Hopkins Bloomberg School of Public Health study suggested our society teeters back and forth between viewing substance abuse as a treatable medical condition and poor decision making. 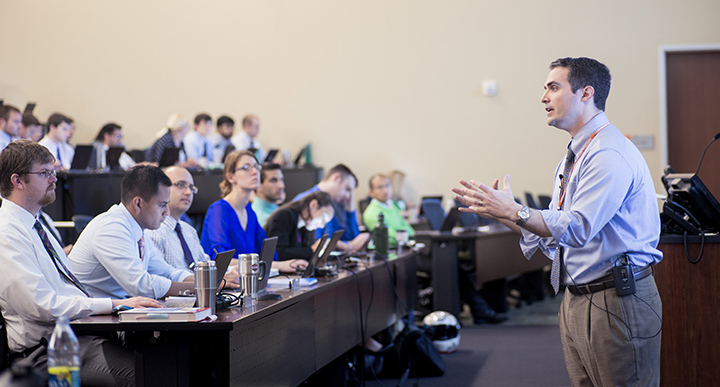 In his lectures, Muzyk uses open dialogue and discussion through a flipped classroom approach to help students understand the magnitude of a drug addiction and the impact it has on both the patient and society. Avoidance, rejection and discrimination are a few obstacles a patient suffering addiction faces when stigmatized resulting in not seeking help or treatment. “It’s not only learning how to manage this [crisis] but also checking our own attitudes about people who have these issues,” he says. The flipped classroom approach creates a safe environment and time to talk about patient interactions, including personal experiences from rotations, and how to provide compassionate care no matter the ailment or addiction. “We’re taking care of patients, and we’re there to help them any way we can,” Muzyk says. He was honored in September by Duke’s Academy for Health Professions, Education and Academic Development (AHEAD) as one of two recipients of the first interprofessional award for his work teaming Duke medical, PA and nursing students with Campbell pharmacy students and UNC and N.C. State social work students to fight substance abuse. In addition to time spent in the classroom, Muzyk’s students counsel real people with substance abuse disorders and attend AA or NA meetings with them, writing about their experiences afterward. “It’s a fantastic experience,” he says. “The students become a big team, and everyone learns from one another. Go back to those four North Carolina cities among the worst in the nation for opioid abuse, and two of them have one very big factor in common. 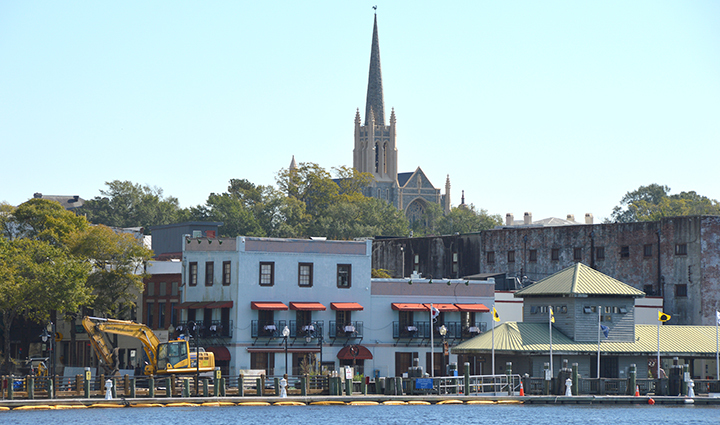 Fayetteville and Jacksonville are home to large military bases, Fort Bragg and Camp Lejeune respectively. And for our nation’s active duty and veteran military, the opioid epidemic has hit hard. Castlight Health Inc., which issued the national ranking last April, found that 47 percent of opioid prescriptions in Fayetteville were abused. And a recent Wall Street Journal article found that the city’s VA health system has no residential addiction-treatment programs, no inpatient opioid detox facility and only five doctors in a 21-county area able to dispense medications used to treat opioid abuse. District Court Judge Lou Olivera (’00 Law) is a Gulf War veteran whose compassion for his brothers led him to oversee Cumberland County’s Veterans Treatment Court, a twice-monthly “alternative sentencing court” that provides counseling and medical services and even employment, education and housing for ex-military in the legal system for misdemeanors and certain lesser felonies. Many in his system are fighting drug addiction, Olivera tells the room at last September’s opioid roundtable discussion in Fayetteville. And many can pinpoint the beginnings of their addiction to pain medicine received after combat injuries. The Wall Street Journal reports that because of advances in battlefield armor and combat care, serious injuries now have 90-percent survival rates, compared with 40 percent in the Vietnam War era. Opioids are being prescribed in too many cases, and as a result, the nation’s VA treated more than 66,000 veterans with opioid abuse disorders in 2016. The opioid epidemic is just one of the struggles combat veterans face back home. Mental health issues, alcoholism, unemployment and poverty are all more prevalent in the military community. Many suffer from post traumatic stress disorder, which often goes hand-in-hand with the other issues. Olivera has taken on the role of “big brother” to the veterans in his treatment court. He’s tough on them, showing little mercy when someone isn’t showing him they want to improve themselves or get better, but he’s also compassionate. That compassion made national headlines last April when Olivera — after sentencing a former Green Beret and Afghanistan veteran to a night in jail for violating his probation — spent the night with him in a one-man cell to talk and see him through his punishment. Physicians, law enforcement officials, judges and community leaders are bringing the fight to the frontlines of North Carolina’s war on opioid abuse. And they’re finally getting help from state lawmakers. In June, former Gov. Pat McCrory signed Senate Bill 734 — the Narcan Law — making the life-saving overdose medication available statewide without a prescription. The prescription bears the signature of Dr. Randall Williams, who led the fight to get the bill passed. If North Carolina is considered one of the worst states for opioid abuse, it has to be considered one of the strongest when it comes to fighting it. The 2016 Narcan Law came three years after North Carolina’s Good Samaritan Law, passed in 2013 to enable law enforcement officers to carry naloxone at all times. The state says more than 3,300 people in the state have been saved by the drug since that law passed. North Carolina is also home to Project Lazarus, a public health nonprofit established in Wilkes County in 2008 after Fred Wells Brason II, president and CEO of the organization, learned Wilkes had the third-highest drug overdose death rate in the nation the previous year. According to Brason, Project Lazarus’ model is based on two premises — drug overdose deaths are preventable and all communities are ultimately responsible for their own health. The organization’s impact in Wilkes County has been astounding. Within three years of implementing risk-reduce strategies, accidental deaths from opioid ovderdose decreased by 72 percent there. Wilkes also once had a higher-than-average opioid prescription rate, but in 2011, not one single overdose death could be attributed to prescriptions written in the county (down from 82 percent of the deaths in 2008). “The only way to fix this problem is to hunker down as a community and determine what we need to do in our own lives and our own organizations,” Brason says. And while medical schools continue to change the way they teach pain management to future doctors, current health care providers in North Carolina are re-educating themselves. The state’s medical board now requires continuous pain management and prescription education for North Carolina’s 25,000-plus physicians, 5,000-plus physician assistants and 5,000-plus dentists. There’s a long way to go, says Williams, but North Carolina is crawling out of the abyss left by the opioid epidemic. The new laws, the organizations, the conferences — they’re more than just raising awareness. They’re laying down the foundations of a sustainable solution.